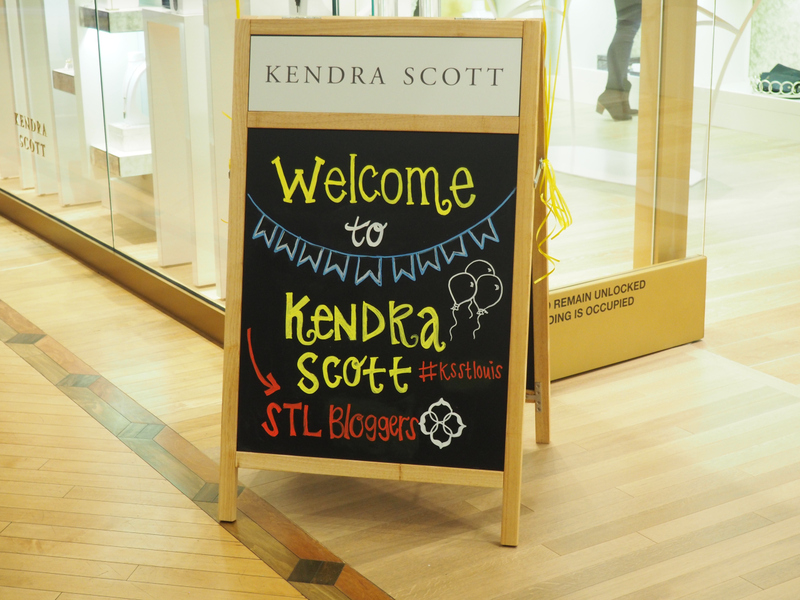 On Tuesday evening I had the pleasure of going to a blogger event at the new Kendra Scott store at Plaza Frontenac in St. Louis. 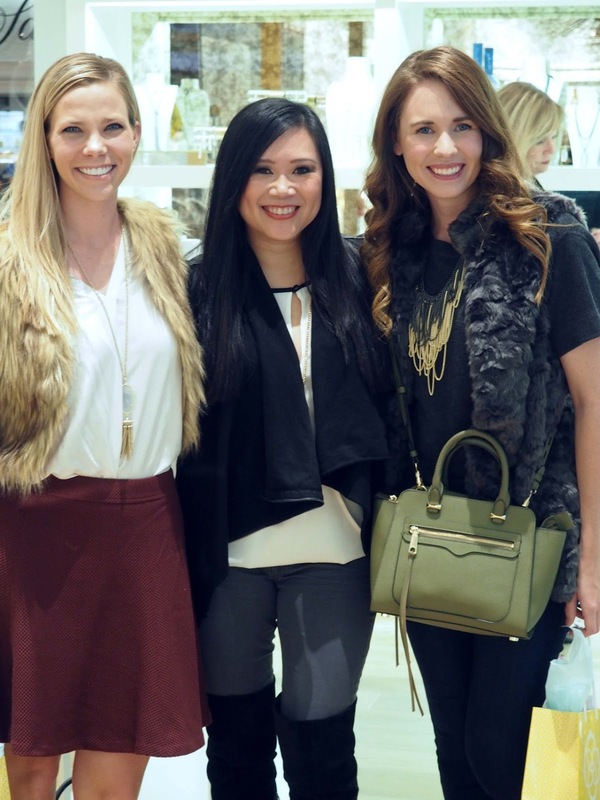 It was so great getting to catch up with local bloggers, meet the store staff, and shop all the gorgeous jewels. 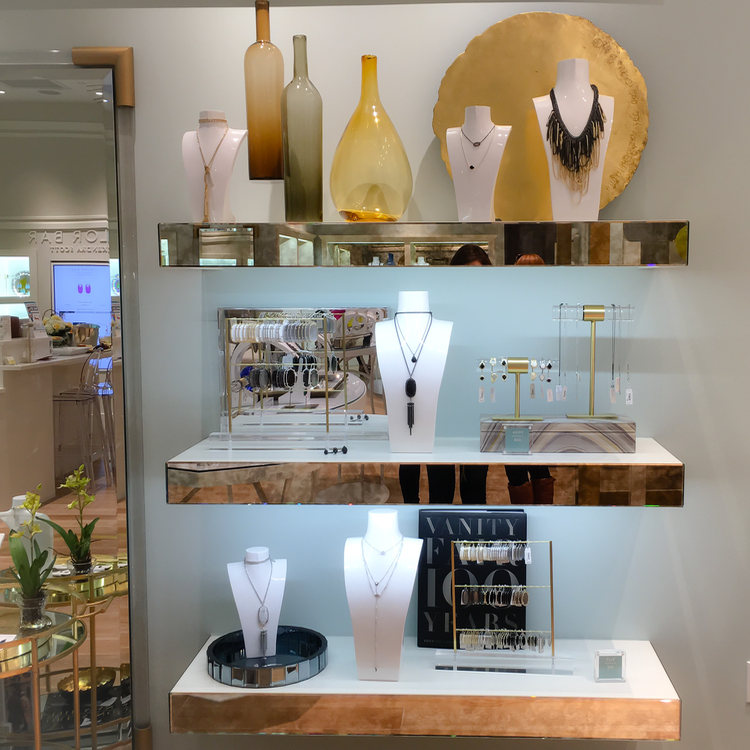 The store could not have been more stunning! 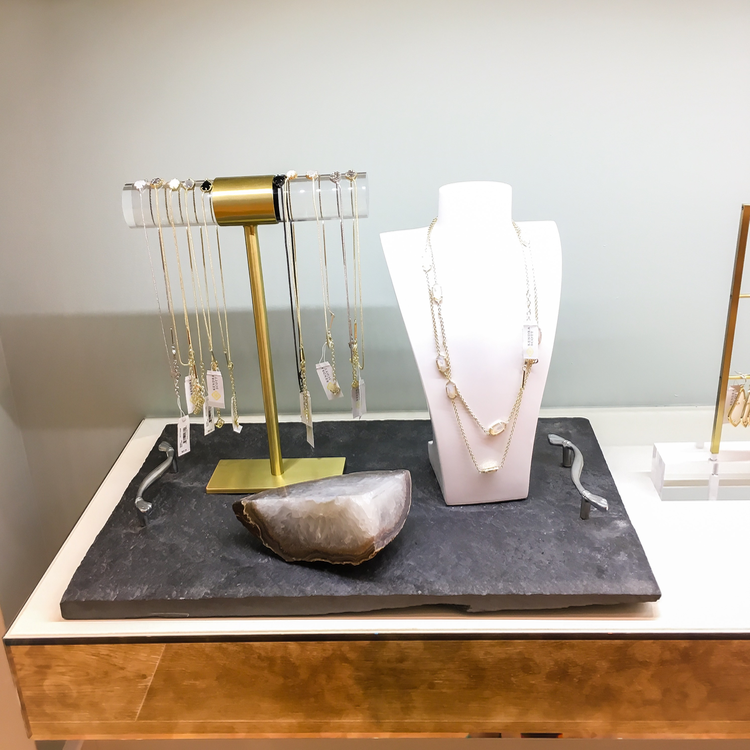 Kendra personally picks out each and every fixture, accessory, and finish for each unique location. She should probably start a home decor line, because I'd like her to decorate my house too please ;) Seriously though, the presentation of everything was utter perfection, from the bold shelves and gleaming brass knobs on the islands, to the delicate Kendra Scott logo engraved on the jewelry stands and the perfectly curated accessories. 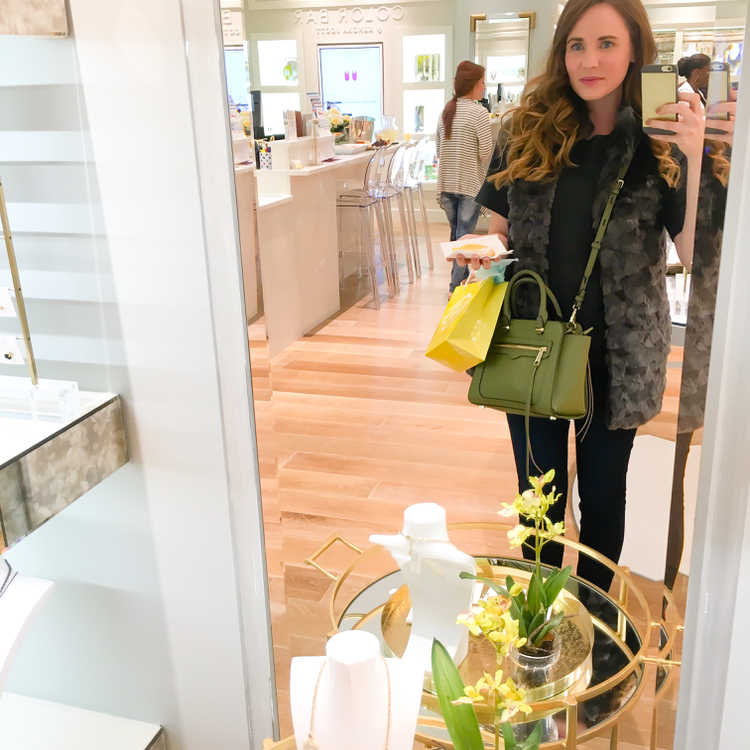 While there, I got to catch up with some of my favorite local ladies: Caryl (More Pieces of Me), Jenna (Champagne & Polka Dots), Psyche (Economy of Style), and Yasmin (Bangles & Bungalows). 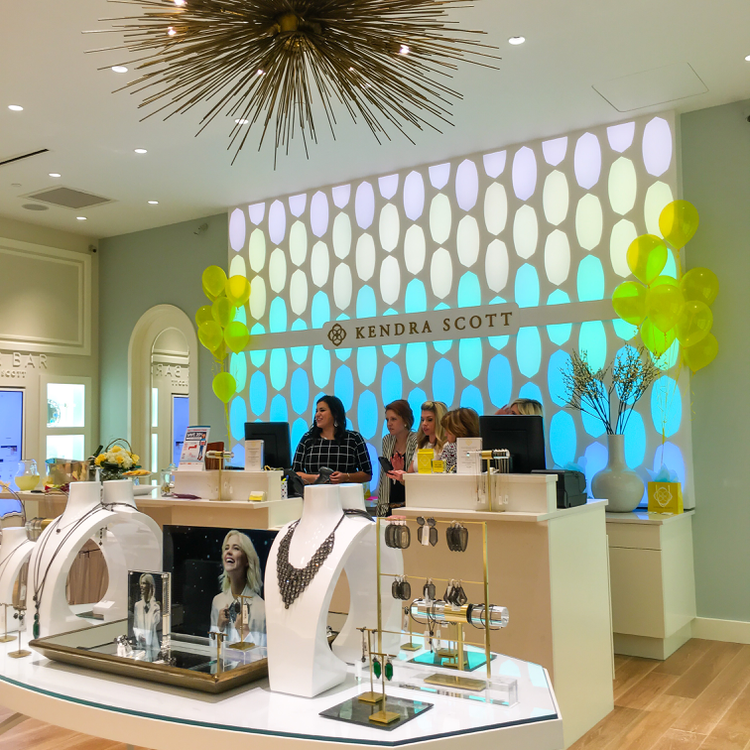 It was also so fun meeting the local Kendra Scott staff. In all my experience with different companies and brands, I have never been so enamored with the cumulative staff of an organization. Without fail, I pretty much want to be everyones' best friend. 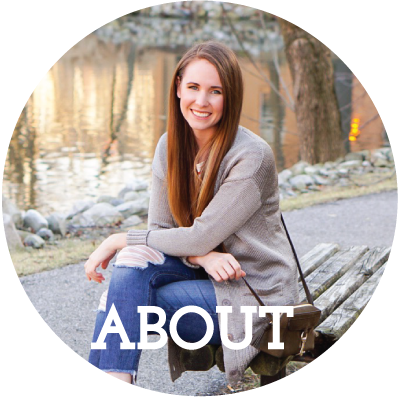 They're so personable, helpful, and just downright fun. 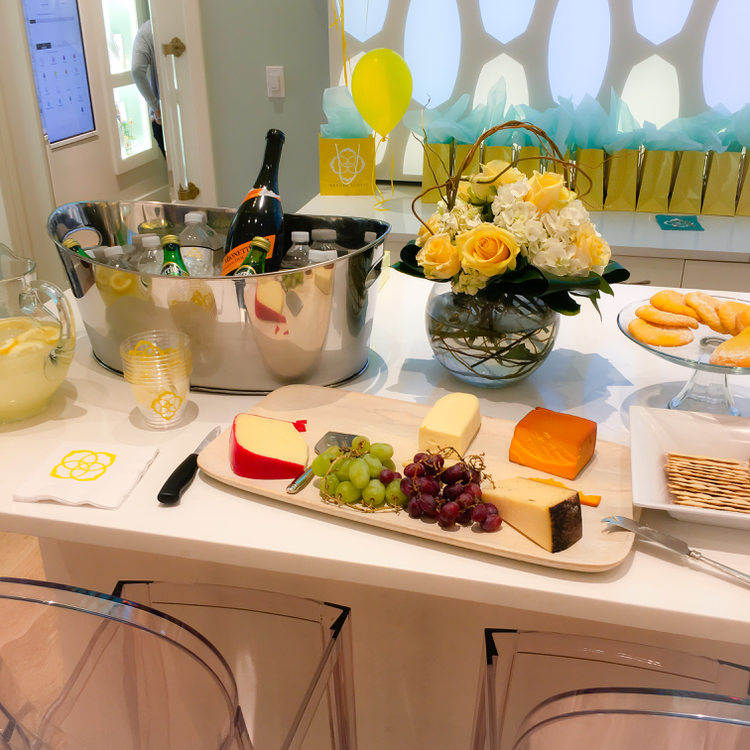 There were tasty snacks, beverages, and the most delicious cookies ever- gooey butter cookies. They're a St. Louis tradition, so I loved seeing that nod to our city. I tried that drusy collar on in NY and it is AH-mazing. The quartz ring and necklace were SO tempting, but I ended up with the longer quartz pendant instead. I very much suspect the ring will join the family in time :) The drusy drops were stunning in person, however I'm not much of a drop earring person, so I couldn't justify them at that price point. If you have any kind of special occasion coming up though, I would highly recommend them. Overall it was a really fun event, and I can't wait to stop by the store again soon! Great post! Had so much fun hanging out with you at this party! Can't wait for tonight! Yay! Loved reading your point of view! I didn't realize she hand picked all the fixtures herself! That's a nice piece of trivia! And I'm still drooling over your earrings!! !